Hi, everyone! We’re relatively new writers to Duelist so we’d like to take a second to introduce ourselves and our experience in PvP. That way you all can get to know us and know that we’ve been through the trials and errors of tournaments ourselves. I’d like to take a moment to say: This guide is not for beginners. It outlines what we, the highest ranked tournament grandmasters, do. 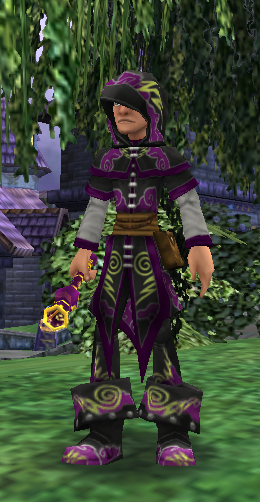 Our strategies involve hard-to-get spells such as Loremaster, Headless Horseman, and Winter Moon. Most avid mid-level duelists who play tournaments frequently have probably run into me. 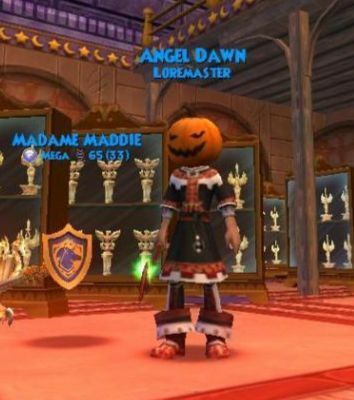 I’m Angel Dawn, a Balance-obsessed grandmaster duelist. With over 400 wins, I’m the highest ranked grand and currently 3rd on the tournament leaderboards. I believe in all-out damage, a somewhat risky playstyle where a fizzle often costs me the match. 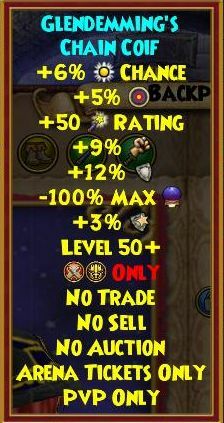 In this guide, we’ll be looking at the Balance and Ice Schools. We will go over how they are used the most at grand level tournaments. Both of us (Pumpkin and Dawny) have an intimate knowledge of tournament strategies for Balance and Ice. Balance and Ice are both excellent choices if you’re looking to start doing tournaments. 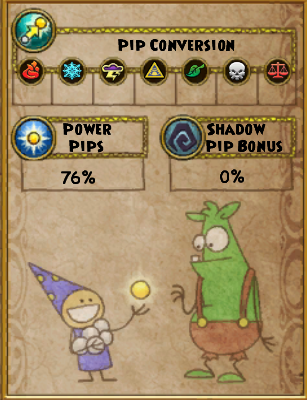 Those more inclined to aggressive PvP will often choose Balance. Likewise, those prone to taking either completely defensive or semi-defensive strategies choose Ice. Regardless, in those core elements of how they PvP, they share that extremely rare ability to counteract generally any opponent put in front of them. You can probably see why most grandmasters that try it out for the first time tend to choose Ice, Balance or Life. Once they’ve got the hang of it, they apply those same ideas to other schools where possible. Yeah, yeah, you’ve heard it before – “Ice is easy”, “all Ice does is tank, stack blades and hit”. However, there’s so much more to Ice than that. 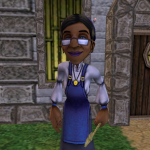 The school is especially interesting at level 50. That’s when everyone’s stats are similar, the only thing that varies is strategy. There are offensive styles, such as blade stacking and using DoTs to combo into heavy-hitters. In addition, there are also slow-moving, but still effective, jade techniques that are the go-to strategies for many grandmasters. In tournaments, you want to focus on offensive play. A constant build-up of blades, occasionally a debuff to throw the opponent off, then moving in with a combo is the key to success. There are so many options for Balance that it’s sort of funny. Balance soars in every aspect, having the ability to legitimately call on any other School damage that it needs to. 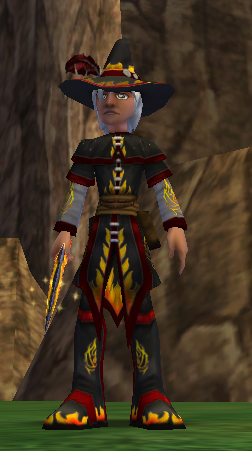 If Pumpkin wasn’t a Fire fanboy, he’d hang his hat with Alhazred. Balance can dominate in just about any situation just from sheer versatility. Their toolbox contains spells like Loremaster, Chimera, Hydra, Spectral Blast, Judgment… So many things that other wizards have to account for when fighting a Balance. Set shields for the Elemental Schools won’t do anything to stop a Chimera, and Spirit Shields won’t stop a Hydra! Towers can’t really defend too well against either. Loremaster just adds pressure on top of pressure until it’s boiling hot. Let’s first take a look at the basic gear set that you’ll want to have. You’ve probably guessed it, but you can purchase the go-to gear from Diego with Arena tickets once you are a Warlord! 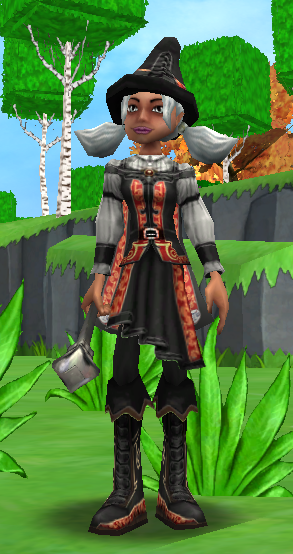 Or, if you have some spending change, Wysteria Hoard boots offer a more versatile setup. 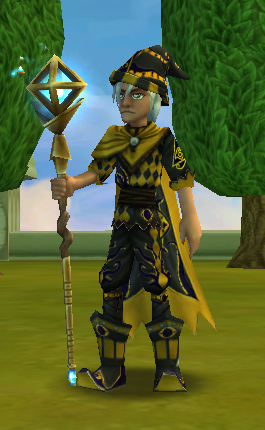 However, if you don’t feel like putting out the extra few-thousand crowns for Wysteria Packs, the Glendemming set offers you 40 universal resist and 36 damage alone; without a pet or any extra gear. If you’re lacking the rank and/or tickets for the Glen gear, a good alternative is usually pack gear. The Professor’s Hoard as well as Ghulture’s Hoard packs drop some viable alternatives. You should look into those if climbing the Ranked PvP ladder isn’t something you’re interested in. More than a few have had great success with the Proud Jaguar gear and the school-specific sets from the Professor’s pack. 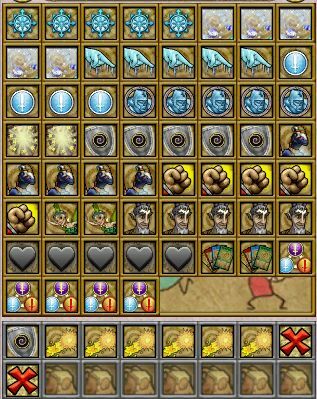 For example, the Professor’s Hoard boots for ice (Lydia’s Frozen Wraps) are a relatively good option for Ice. They give slightly more damage than the Glendemming boots, but the pip and accuracy loss is a bummer. They are, however, a good option if you can’t get Glendemming yet. While I use the Cards of the Duelist deck, the deck you choose doesn’t really matter. The only thing that matters is that it’s a deck with a Triangle socket. That way, you can add an accuracy or pip chance jewel. A blade jewel is also an option. 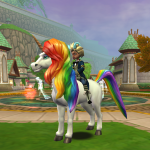 As everyone knows, the best Ring and Athame are available from Brandon Mistborn in Unicorn Way (just outside the Arena). Both the Duelist’s Fatal Razor and the Duelist’s Daredevil Ring are available for the affordable price of 4,000 tickets each. “Affordable”. Good joke? Haha. As for wands, there are three major contenders for the top spot. Firstly, the Sky Iron Hasta gives a heavy-handed 10% damage. 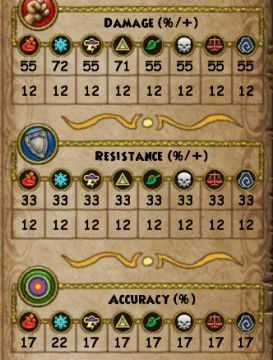 Secondly, the Aquilan Secutor Lance gives 5% damage to both Ice and Myth schools. It also gives a nice 4% pierce and an Athena Battle Sight maycast. The Road Legend Skull from the Road Warrior’s Pack is another decent alternative. 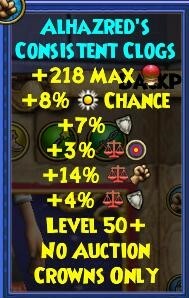 It gives 6% damage to both Ice and Myth, added critical and block that every other wand is missing, and a Maycast Punklops on top of it. Each of these wands has its advantages. However, when it comes to versatility, damage, and an unbelievably useful maycast, you have to look no further than the Aquilan Secutor Lance. 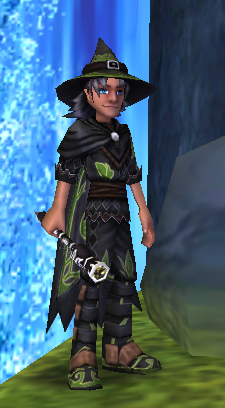 Alternatively, if you were lucky enough to snag a bundle or a certain Christmas pack and redeem the wand for 50+, there are nice options too in those too (Snowdrifters Stave, Witch Hunter Arbalest, Dragoon’s Rapier). Let’s take a look at the gear you’ll usually want to have for Grand Balance and some of the gear you might see other top players using. At grandmaster, there are so many different powerful, viable options in tournament play. I think that’s one of the best things about playing Grandmaster compared to other brackets. For one player straight Warlord gear might work. 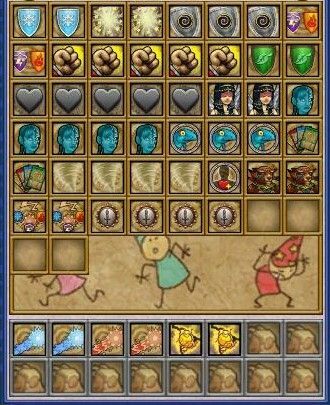 Another might enjoy mixing and matching the Professor’s Hoard boots (as Dawny does) with the Duelist Rakish Mask in a Quick Match for combined damage. 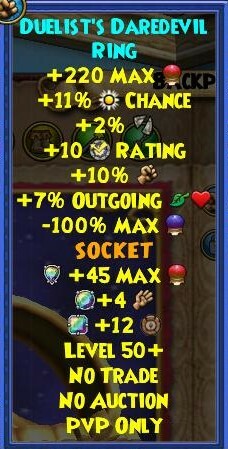 The Professor’s Hoard Pack gear gives significantly more damage to Balance than it does to Ice, encouraging Balance wizards to be more aggressive. The deck you choose doesn’t really matter, the only variant between decks is the type of jewel. 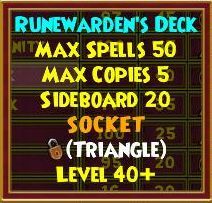 Experienced duelists look for Triangle sockets, which allow for a small buff to Accuracy or pip chance, or the opportunity to add a blade jewel, allowing for greater damage opportunities. We don’t use large decks, anything as large as the Deck of Lotus (32 cards) works for Balance. I use Runewarden’s Deck. 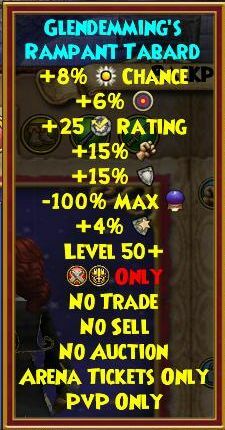 Just like for Ice, the best ring and athame for PvP are available from in Unicorn Way (talk to Brandon Mistborn just outside the Arena). Your best option is the Order of High Glory Banner, due to its Mana Burn card. 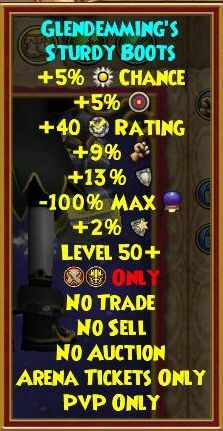 I use the level 40 version of this wand simply because it barely varies from the 50+ version. Why buy something you don’t need? This deck set-up is designed to be offensive, with a large card-cycle to allow for large amounts of discarding. As a grand Ice, you’ll want to stack as much damage onto your opponent as possible in a short amount of time; and prevent them from healing it off. 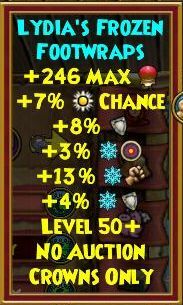 For the majority of schools, it’s difficult to heal effectively without access to the Life Mastery Amulet so Satyrs cost a lot of pip resource to cast. This, in turn, makes people less willing to heal spam. This increases even more when Infections are brought into play. If they do decide to heal, they’ll soon run out of pips to do so. The sooner you take an offensive edge, the better. That said, if things go crooked early on, I have a backbone of Fairies and Satyrs to heal from – if the situation allows me to. Ice is a formidable adversary. Blade up, get that global up and pressure on. Depending on whether you’re first or second, immediately use Winter Moon or Frostbite. Minions are useful, too, as Ice has the most offensive minion. 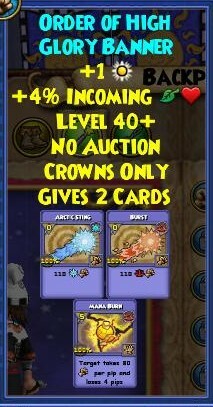 It can remove shields and can do some serious damage with bladed Snow Sharks and Ice Bats under a damage global. Anything helps in this style of tour, so remember to start pushing early and don’t let up. I find that the only schools Balance needs to shield against are Storm, Life, and Ice. 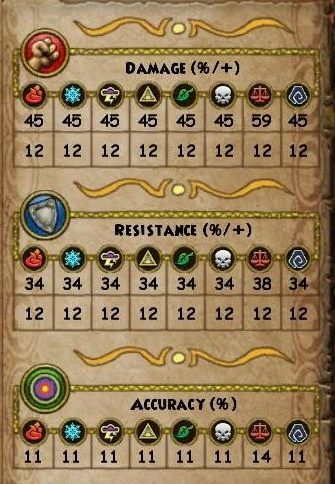 Shielding against Myth, Death and Fire is brutally ineffective because of the vast amount of spells that either hit around shields, or remove them every round with overtime spells. Like all Grandmaster tournaments, the cost is going to be 10,000 gold. Unfortunately, most Classic tournaments other than 1v1s will rarely ever place, although they are organized pretty frequently. You can probably find 1-2 Classic 1v1s most days. 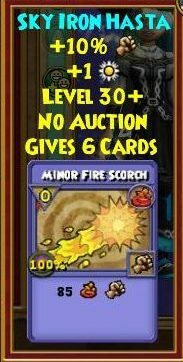 You won’t have access to your treasure cards, pets, or an amulet during the duration of this tournament. These items will be placed in your backpack until it concludes. 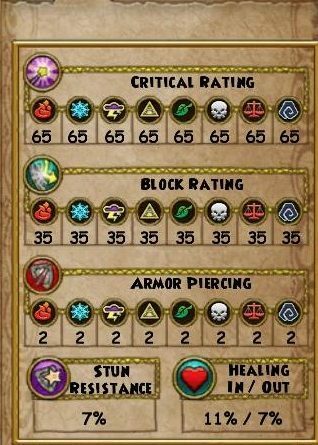 Healing will be rough for schools outside of Life, and any spells that you don’t have trained or granted by gear won’t be available to you. Come prepared with what you’ll need to gain the advantage! 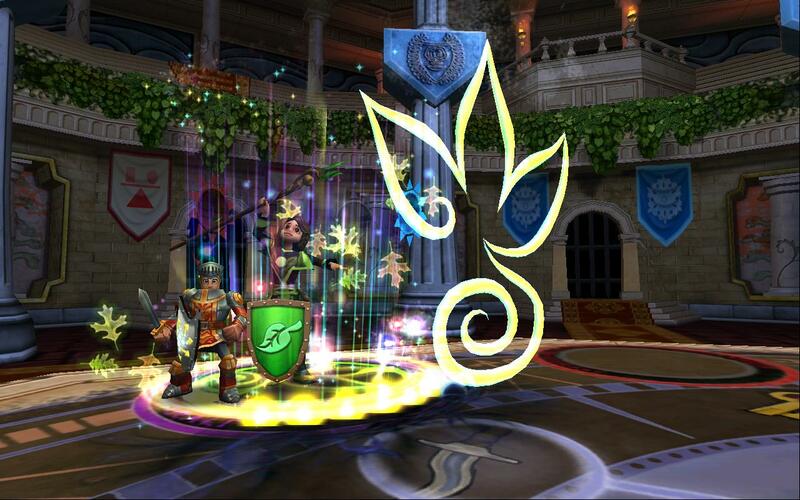 Read about the basics of tournaments here. In classic tournaments, Ice lives up to its reputation as one of the most versatile schools. Ices are able to carry stuns alongside Winter Moon, allowing for a very offensive play style. A bladed Frostbite can wear down shields and health, swiftly followed by a bladed Winter Moon. This is a game-changing combo. Ice has one of the best minions, which pressures the opponent into defensive play. That gives you time to build blades for a massive onslaught. Generally in classics at this level, Ice will want to summon their Minion as fast as possible. After all, it has access to heavy hits like Snow Shark and will spam Iceblade and Ice Trap. After you’ve set your minion up, blade stacking and bubble control are next. You’ll want to dig for your Elemental Blades and Iceblades. 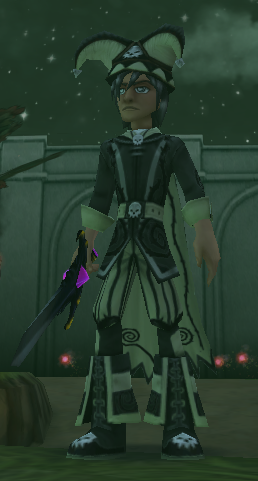 If the right blades aren’t showing, you can sometimes even double up on the same blade twice. A decent combo could be a Frostbite to remove a set shield off, with a well-bladed Winter Moon as follow-up. With that being said, your main hits in classic will normally be Winter Moon and Frostbite. Just remember to keep your minion out, your blades/bubble up, and the pressure on your opponent. Balance has a very interesting setup for Classic. A continuous offense is one way to put it, although Loremaster spam would be more accurate. 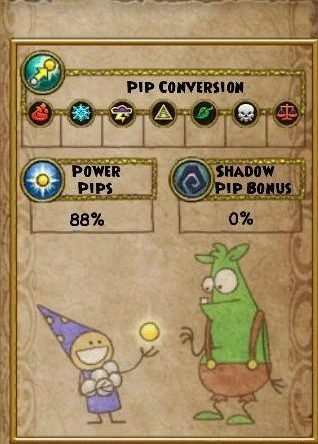 The gear setup I prefer focuses on pip rate and damage. It allows me to continuously damage my opponents, forcing them to focus on defensive play. When you spam Infections and Loremasters, you are backing your opponent into a corner where they don’t have pips to heal or hit, so the match is pretty much won. Minions often provide much-needed support in slower-paced classics, it’s a good idea to toss one out when your opponent has some blades on. They’ll be forced to chose between their blades and your minion. In one word: bulky. 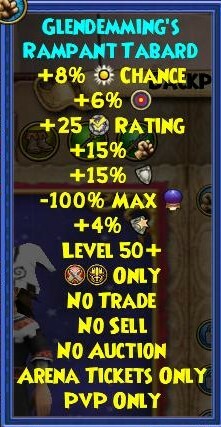 At grandmaster, Ice has the highest health while also wearing warlord gear. 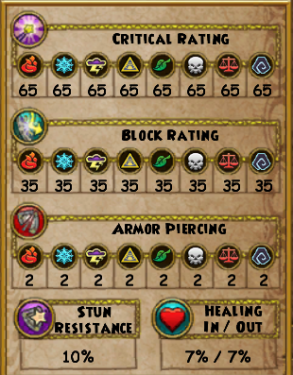 With health jewels, Ice sits right above 2,600 hp. Frostbite can be deadly; it’s nearly impossible to shield against. Winter Moon is definitely also worth mentioning, often used as a pretty harmful damage spike that also immobilizes you with a stun if you’re not careful. When two Ice Wizards face off, the first hit often wins the game because of how inefficient healing is in classic tours. Be careful when you shield from second! There’s a constant risk of having your Tower Shields stolen by Steal Ward. The best way to handle one of the most formidable schools, Ice, as a Balance is through a very aggressive counter-attacking strategy. 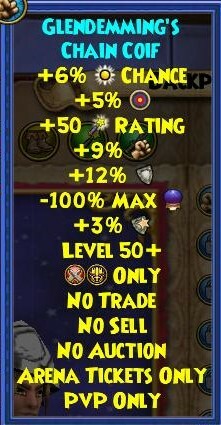 Load up infections so they understand healing is not the way to go and drown the Ice wizard in weaknesses while dealing damage as you go. Weaknesses play a huge part in defeating Fire wizards in classic tournaments. Spells like Burning Rampage can decide games by themselves and you’d best try to debuff as heavily as possible. If they get time to set up, it will be impossible to recover. Again, being aggressive is helpful here, but not before you make sure to have enough debuffs layered. You want to live long enough to be aggressive after all. Power Link is a very multipurpose card, able to take off weaknesses and infections. If you’re second, make sure to have one of each on your opponent before going offensive. A Fire can link then fairy off all you’ve done before you can infection them again. The skill level of your opponent will determine how hard your match is. Whether for Balance or Ice, the trick to victory is passive aggression. Debuffing enough to stay alive; yet keeping your opponent on their toes with frequent attacks. Ice has to be aggressive as always, but more often than not, you’ll find that Earthquake impedes the normal tactics for an Ice. Especially from second you won’t be able to blade up. If they try to play it hard and fast, you’ll have a better time because your aggressive counterplay can easily defeat them if you’re allowed to start up. Ice just has more resources and potential for damage output per turn than Myth at grand, albeit taking longer to set up. If the Myth plays it slow, remember to keep the pressure on them with frequent Frostbites. Eventually, however difficult it might seem, you can power through the many ‘quakes you’ll experience. Balances usually won’t have a bigger problem with Myths. This is solely true because the most effective way to debuff a Myth is with Weaknesses, not shields. The Myth could ram right through shields. Coupling Loremaster with Weakness (both of which there’s no shortage of in my deck), you can keep a Myth at bay long enough to take out most of their health. Provided the life isn’t a jade, Ice Wizards usually have a fair time battling Life. Jading in tournaments is a popular way to lose tournaments because of an unreliable Diego. Life has a much better chance playing more offensively than many schools. They can use spells like Luminous Weaver and Goat Monk to wear the opponent out while also keeping themselves at full health with Satyrs. Most Life wizards, however, rely too heavily on Sanctuary and Satyr, disregarding the offensive attacks they have at their disposal. As such, they face long, drawn-out losses they either take from a more competent player or from a swift Diego decision. Often the best strategy is to infect heavily and blade up before going offensive. Life has Triage, hence Frostbite may be risky when going second to a life. Balance struggles considerably against jades: often the only way to defeat a jade is by using a minion to combo with lore spells. In one match my minion bladed me right after I cast Savage Paw, leave me with an open next round Judgment to wrap it all up. This is rarely the case, and matches often end up at Diego. In the case of offensive life; they struggle impossibly with shields. Simply wait until they start blading, then drop a shield. If they cast the same blade multiple times? No problem, cast another! If you wish to irritate them further, simply lob out a minion too. They can’t kill your minion without using up their blades, keeping you safe from a possibly worrisome offensive. Against Storm, remember that you can also play defensively. An intelligent Storm wizard rarely finds a safe spot in grand tournaments, but that doesn’t stop them from being a perilous opponent in the right circumstances. With lower base accuracy but higher damage output to counteract, they can hit hard when they manage to hit. You’ll want to make use of your Tower or Volcanic Shields to try and keep them at bay as they don’t have dots available to them, then hit whenever you have pips to do so, while discouraging heals with the occasional infection. The most important thing to remember is that Death can Sacrifice. If they’re close to death and have a fatal frostbite overtime yet survive by a few health and Sacrifice; they can kill themselves – lose the DoT – and come back to life with 700-some health. You’ll want to keep some Infections in your hand, as in all classic matches; your opponents struggle to heal. By shielding, you can shut down Death’s drain spells, and Infection does the rest. Keep the pressure and Global control – you don’t want them Dooming and draining you before you can fight back. Blade and hit as much and as fast as you can. If you keep the Frostbites and Winter Moons coming, they will be considerably more hesitant to toss out a Doom & Gloom to shut down any chance you had of healing. In a nutshell: Death is a brutal school to play classic against; with nearly as many options as Balance. Longer matches against them don’t tend to turn out in your favor, so keep the match brief. Balance wizards need to watch out when using Loremaster and Weakness against Death-school players. Death can utilize those debuffs to their own advantage; using them to gain health, pips, or a Dragonblade. Make sure to keep infections on and wait for them to being bladed up before you start your offense. The potential loss of a Death’s blades discourages them from healing; yet the weaknesses discourage them from attacking. The blades-or-health conundrum has usually been Death wizards’ undoing, but that makes them far from harmless. Play the match carefully; if you do not pressure your opponent; they will have time to blade stack and disassemble your strategy with a Doom & Gloom. Fighting a Balance is either one of the simplest fights or one of the most difficult fights you’ll have in your average classic tournament at grandmaster. Simple because you know what they’re capable of and what you can do to get an edge. Difficult because a good balance can throw you off by just how many options they really do have. Not only to they have access to major utility spells like Loremaster, they can also rely on elemental attacks to get through resistances (yes, you will see people try to set resist in classics). A good Balance can keep you on your toes with Infection spam and constant, heavy damage. You’ll be so focused on staying alive that you won’t be able to mount any counterattack and you’ll slowly lose the fight. To combat this, try to get your hold on early. Blade early – you won’t have time to later. Take off Infections whenever possible with a Fairy and save your Satyrs for desperate moments. Most of the damage that you can land will, most likely, stick. As always, keep that pressure up and do your best to get the early advantage and keep it throughout the match. Blade early, hit with your DoTs and keep a steady flow of damage on them and watch out for a sneaky Mana Burn. Balance-on-Balance matches are extremely challenging when both are prepared and it most often comes down to who goes first. The best thing to remember is both players have a finite number of loremasters per reshuffle and you have to leave yourself open to whatever your opponent has in mind-usually nothing too kind. Both sides can heal off minor hits with helping hands and fairy, be sure to keep at least one infection on your opponent. Control in tournaments is pressure: whoever is playing more offensively usually has control over the match. You can control your opponent’s offensive abilities by casting a minion whenever your opponent has 2 blades on. It forces them to chose between their blades, or your minion. As with all things; it’s important not to get disheartened by your first few losses. Many regular high-ranked players are discouraged by the amount of competition in tournaments and don’t do them often. It takes time to get used to the school and tournament styles. Don’t be afraid to try new things, often what’s least expected works best! You’ll find Dawny most often on his grandmaster Balance either playing in a Tournament, or lurking in the Arena, AFK-spinning in a corner while waiting for the next Turn-Based Tournament (No, I’m just admiring the walls -really!). 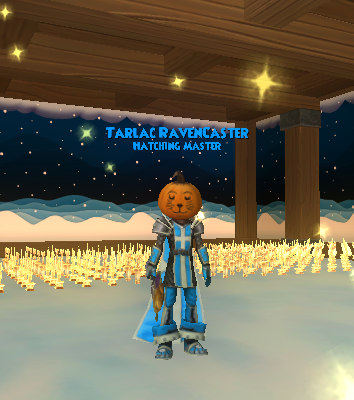 Favorite activities are using misthead’s carefully hoarded TC, admiring his position on the Tournament Leaderboards and organizing community events!